Go Solar Schedule Your Free Assessment Today! Adding Solar to save on your energy bills TODAY makes perfect CENTS! Solar energy is clean, easy to make, and cost effective. When your home is solar-powered, you can rest assured that you’re being both economically and environmentally efficient. Energy Monster will ensure that you get the most from your solar panels. The most energy generated, the most return on your investment, and the most beneficial environmental impact. 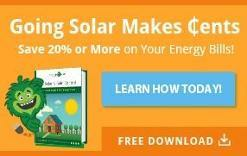 Solar is Within Your Budget! Today there are many ways to acquire solar power. You can lease or you can own your solar power. 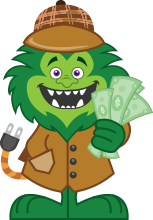 Energy Monster strongly recommends that you purchase your own system vs leasing. Think owning solar is out of your budget? Think again! With every Energy Monster solar home, we offer a no obligation custom system design. Get your FREE quote today! Generating your own energy with solar can drop your utility bill significantly. When your solar system produces energy that your home doesn’t immediately use, your excess energy goes back into the grid. 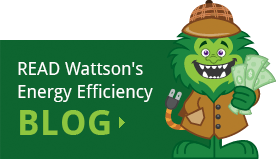 Most utility companies will pay or credit you for the energy you produce. Request Your Free Solar Assessment Today!